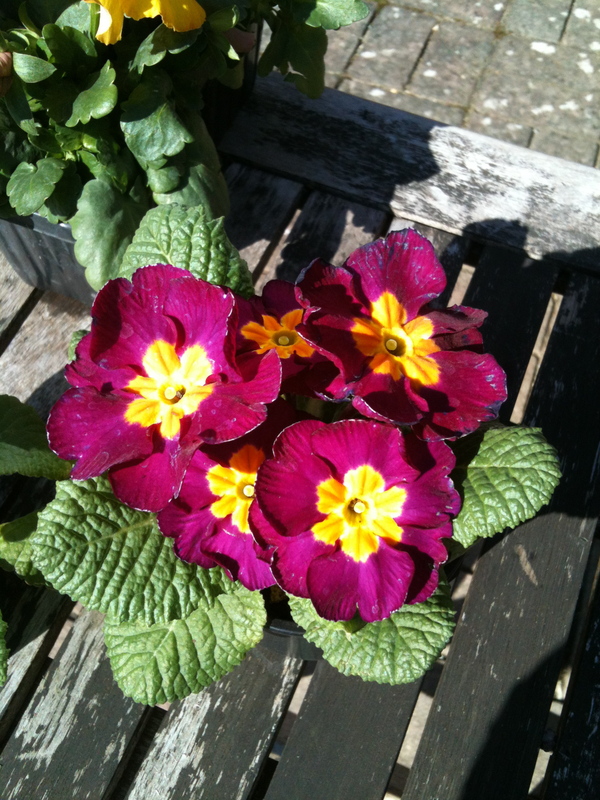 I began planting flowers today. 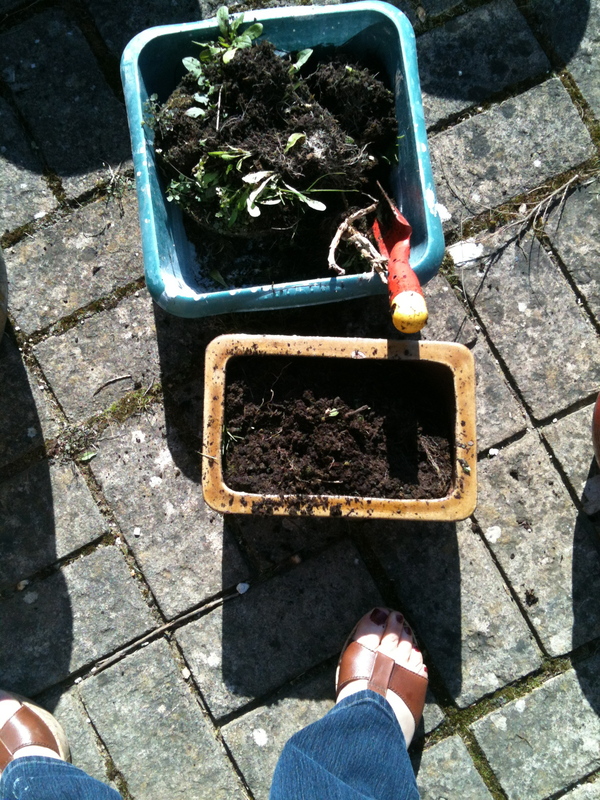 I took the good advice from my friends, Debbie and Alan, and I emptied my pots and refilled them with fresh compost. I managed to haul a few big patio pots over the garden and weed them and tidy them up a bit. I planted three pots and it was at this point that I felt the familiar twang in my lower back. So I quit. I left the compost bags and the half-filled pots and the trowel, the tarp, and my gardening gloves on our patio. I ignored the empty plastic flower pots and the garden spade and the old, rusty mini-grill that we hide behind our plastic storage bin. Never-mind the woodpile that is covered with a plastic patio cover made for lawn chairs. Later I saw Diana and over a cup of tea I puffed up my chest and told her how I’m finally tackling my garden. She wanted to see it. Oops. Of course I had to back peddle just a bit and reassure her that I have only just started. I opened our gate and let her in and showed her the three plants that I potted. Diana is such a dear friend. 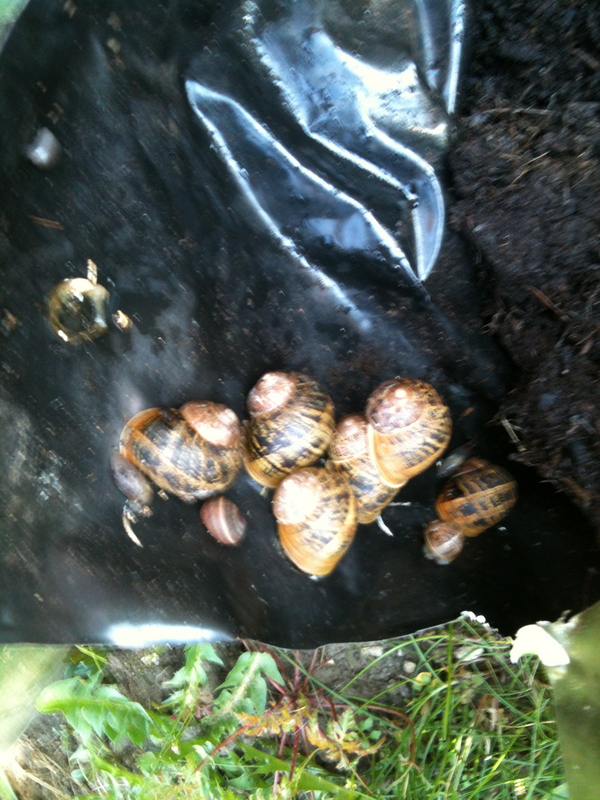 The Snail Family has set up home in my compost bag. See what I mean? I suppose it’s better than slugs. Oh, so much better than slugs! Did you know that on the Pacific coast the slugs are as big as your hand?